Superintendent Candidate Dr. Reginald Eggleston answers questions from community members at a meet and greet on December 4, 2018. Dr. Reginald Eggleston currently lives in Mobile, Alabama with his wife, Regina. Eggleston has over 24 years of education experience, ranging from working in the classroom as a Special Education teacher to working in administration as both a high school principal and an Assistant Superintendent. Dr. Eggleston has a Bachelor’s Degree in Broadcast Journalism Troy State University, a Master’s Degree in Special Education from The University of Alabama in Birmingham, an Educational Specialist Degree in Administration from Auburn University, and Doctor of Education at Nova Southeastern University. In addition to Dr. Eggleston’s educational experience, he also has a military background. Currently, Eggleston serves as the Commander of the 4/413th Battalion on Ft. Knox, Kentucky. He is also a Lieutenant Colonel in the Army Reserves. “I believe that my background and all the things that I have experienced have prepared me for this moment. I have worked in small districts, I have worked in large districts, I also have a military background, and when I look at the combination of the two it is very attractive to me. I believe that I bring the skill set and the knowledge base that is necessary in order to be a leader that could help move this district even further. You have experienced a great deal of success, and yet every school district, when you peel back the onion and you dig deeper, has areas that can be improved. I believe with the right focus, with the right intentions and motives, we can take Junction City or the Geary County School District to an even greater height. I believe that having an inclusive attitude and the spirit of collaboration, which is what I bring to the table, will allow all of the members of the community to be involved. I think we have to be concerned with the military community because based on what I have read, 60 percent of our students have some association with the military. But we also want to make sure that the 40 percent of students who live here in Junction City and the surrounding area feel that they are a part of the district and that they have a voice as well. We want all of our students, regardless of their background or connection to be successful, my background proves that I understand how to work with all factions in order to get results. 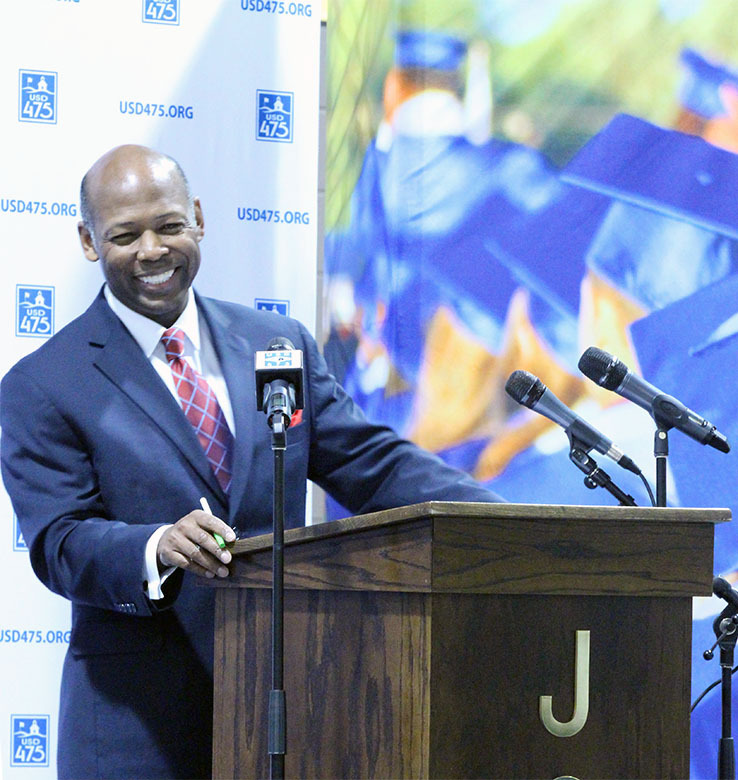 That is why I feel that I am a good fit for Junction and the Geary County School System,” said Dr. Eggleston on why he wants to be a part of our community.